Eco Clean offer professional cleaning services with fantastic results, ideal for commercial premises such as offices, hotels, shops, public houses, landlords and letting agents. Our scrupulous cleaning services are available throughout Gloucestershire on days and at times to suit you. Our hours are flexible to meet your needs and we can even offer cleaning services out of hours which cause the least disruption to the running of your business. 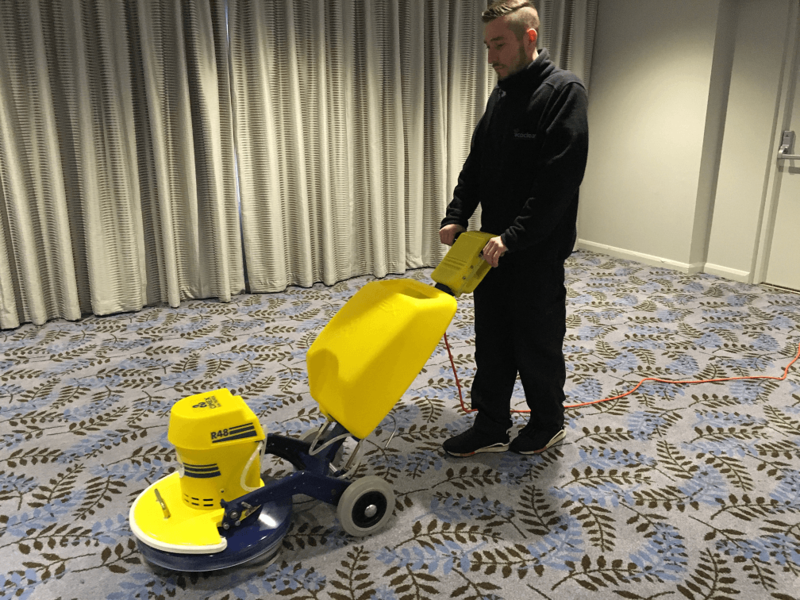 We offer a range of carpet and hard floor cleaning options ranging from low moisture methods through to our innovative, high powered, truck mounted system which reduces drying time to a minimum, bringing your business back up to speed. Eco Clean also utilise leading stain removal technology which enables us to offer businesses cost-effective, astounding results. To keep your premises looking and feeling fresh throughout the year, why not consider a maintenance contract with us? Our prices are very competitive and you’ll wonder how you did without us! Get in touch with Eco Clean today to discuss your requirements.